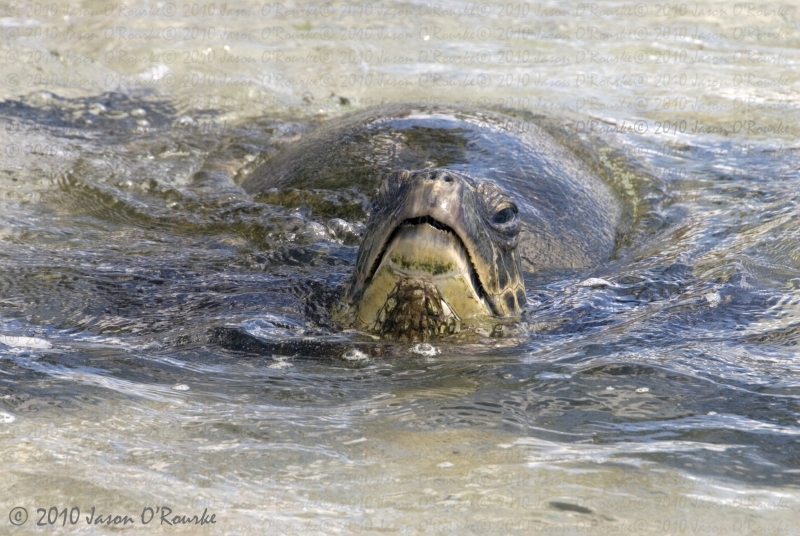 While photographing green sea turtles in the waves at Laniakea Beach, this turtle surfaced just a few feet from me. It took me a second to swing the camera and focus on him, but this is the original image with no cropping. Lucky shot!